If you are looking for a unique team-bonding exercise that ignites team spirit, friendly competition and creates infectious excitement, look no further! 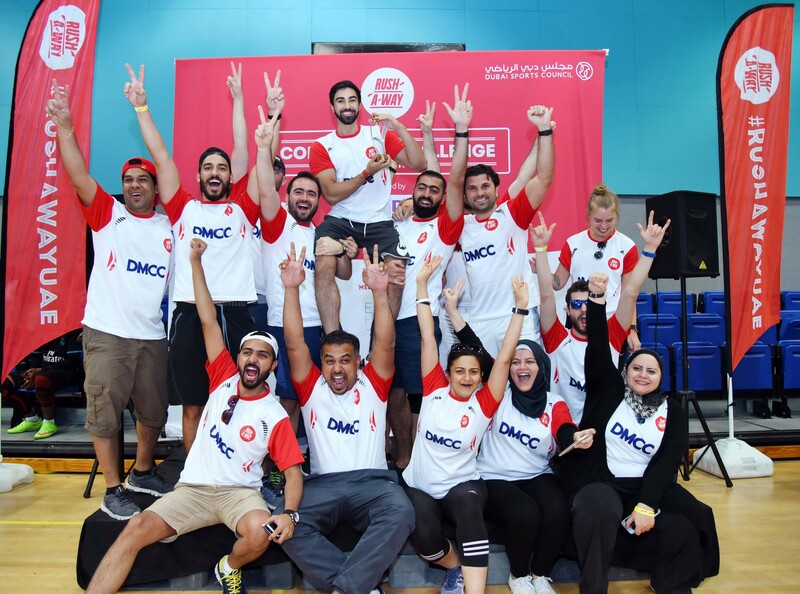 Dubai's thrilling Corporate Challenge is back on Saturday, 22nd September 2018! LivFit By Oman Insurance presents Corporate Challenge from Rush-A-Way, which is an inter-company competition that guarantees an exciting day out for teams in a unique team-building format to strengthen team bonds and ignite team spirits! Teams of 3 - 4 members, will tackle 7 unique challenges around Dubai. In their endeavor, teams will test their mental and physical fitness, quick thinking and teamwork, all while having a blast! The registration fee is inclusive of participation, lunch, entertainment, t-shirt and a chance to win bragging rights & take back wonderful memories home! Rush-A-Way app is our web-interface which helps the team receive all the information during the RACE, including all challenge details, challenge locations, scores and even the vouchers from our partners. Who is the Team Anchor? The person who books the ticket, by default becomes the Team Anchor. This person becomes our main point of contact for that team for the event and will receive all communication from us. The team anchor is responsible for completing our online registration process and updating the details of the team.